Google Transparency Report is a lesser known Google initiative where they compile data on content removal requests and user identification requests at a country level, and publish it on the web. The idea is to show the level of censorship present in a country by releasing data on number of content removal request that originate from that country. I was going through the website today, and found something interesting about India. 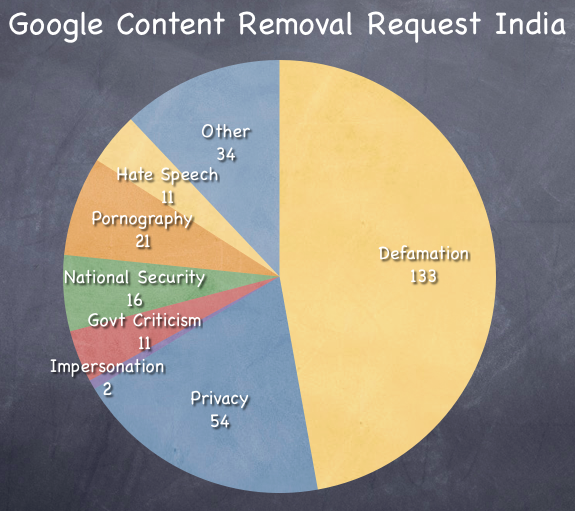 First, let’s look at a breakdown of reasons for a content removal request. These are the number of items requested to be removed in the period between July to December 2010. I’m sure you have noticed that there were 11 items that were requested to be removed as they constituted government criticism. Since when can the government get something off the internet because it’s critical of them? Google doesn’t remove everything it is requested of, and they give a percentage of compliance on the site as well. For example – the percentage compliance for South Korea is 100%. This means that Google complied with every South Korean request to remove content. Google notes that many South Korean requests came from the Korean Information Security Agency which requested them to remove search results that contained RRNs or their equivalent of a PAN number. So, they appear to be requests protecting their citizens from identity thefts. India happens to be the country with one of the lowest compliance rates at 22%. This means that Google only saw fit to comply with 22% of Indian government’s removal requests. We received requests from different law enforcement agencies to remove a blog and YouTube videos that were critical of Chief Ministers and senior officials of different states. We did not comply with these requests. Indians pride themselves on their freedom of speech and this phrase finds itself in our vocabulary from school itself, and rightly so. However, we probably perceive ourselves to be freer than we really are, as Ajay Shah points out in his post titled slavery is freedom. The Google Transparency Report is an interesting thing to keep an eye on and see whether these kind of requests stop, or if they become a regular feature of our government. I’m curious to know if you were aware of this and what you make of it? Last week a reader emailed to ask me if there’s a way to sort email by Sender in Gmail like the way it is in Outlook. People who use Outlook for their work probably use the “Arrange By From” function a lot, and it’s a very handy thing too. That feature is also available in Gmail, but it’s not as visible as the one in Outlook, and as a result I think not many people know about this. In order to use that you have to simply go to the Search Gmail box in the top section of your Gmail and type “from:onemint@gmail.com”. This will show you all the emails that were sent by onemint@gmail to you and works pretty much like the Arrange By From filter in Outlook. The only difference is that if you have the “Conversation” view on then you will also see other emails that were part of the conversation. Sometimes, I find it handy to first turn off the Conversation view and then use this filter. You can turn off the Conversation view by going into Options – Â General – Conversation view off and then search using the from filter. This is shown below. Along the same lines, there is another useful filter called “is:unread”. Using this filter will show you all your Â unread email. I often combine this with the from filter if I have a feeling that someone sent me an email that I somehow missed and is now buried at page 6. This will show you all the unread emails sent to you by the email address you type in. Like theÂ Gmail chat list feature – this is quite simple to implement, and is very helpful as well. The iPhone 4 will soon be released in India, and I thought this is a good time to write about some great apps on the iPhone 4. I’ve moved from the iPhone 3G to iPhone 4 some time ago, and for me the best improvement has been how quickly the iPhone 4 switches to wireless internet. In the iPhone 3G even if you had the wireless configured (like your home or office) you still had to wait a few moments before it could move to the wireless from the phone internet, and that wait however small it may be was quite annoying. In the new phone the switch is almost instantaneous and that marks a great improvement. The screen resolution and camera are much better too, but those are facets that get talked about a lot anyway. 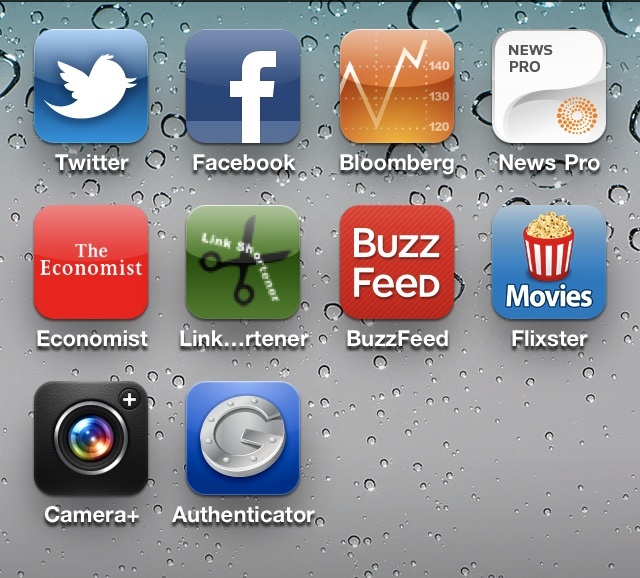 Now, let’s take a look at some of my favorite iPhone 4 apps. 1. Official Twitter App: This is by far the most used app on my iPhone 4. In fact, I hardly ever use Twitter on the computer now. Even when I’m near a computer I use the app the keep a tab on Twitter. This is a free app. 2. Facebook: Perhaps not surprisingly, this is the second most used app on my phone, and I log on to it multiple times in a day. This is free as well. 3. Bloomberg: The Bloomberg app is great for financial news as well as keeping a tab on stock quotes. You can add stocks and ETFs from a lot of different markets, and that makes it especially useful for people who may be interested in tracking stocks across different markets.This is a free app also. 4. Reuters: Great app for keeping up with the news, and I especially like the pictures section of it. This is a free app too. 5. The Economist: I’m not a paid subscriber of The Economist, but still get access to quite a few articles on it, and it’s good to resource to check out once a day or so. 6. Link Shortener by David Pollak: I come across several links while reading on the iPhone and if you want to shorten them then you need something like this app. The Link Shortener app simply takes your link, shortens it and copies it for you to paste it wherever you need. This is a handy tool for people who use Twitter a lot and feel the need to shorten URLs. This app is free as well. 7. BuzzFeed: BuzzFeed is the app of the popular website which has links to things going viral or rather likely to go viral on the web. This is a good app for a laugh and take a break from whatever you’re doing. This app is free. 8. Flixster: This is a good app for reading movie ratings and reviews, and comes in handy whenever a new movie is released. This app is free. 9. Camera +: The iPhone 4 camera is quite good, and since owning this phone I’ve stopped using my digital camera altogether. I bought the Camera + app one day when I was having trouble connecting to Facebook and uploading pictures there with the regular app. It worked and I stuck to it. The app costs $1.99 and I feel it’s an improvement to the camera app that’s already comes with the iPhone 4. 10. Google Authenticator: This is not really an app but I have turned on secondary authentication on my Google account which means that I can’t access my Google account with just my password. This app contains a timer that has a number which changes every 45 seconds or so, and I have to input that number in addition to the password to log in to Gmail. This provides extra safety and you have to enter the key just once in every 30 days so it’s not that much of a hassle either. This is of course free. These were my top 10 iPhone 4 apps and though I use many others, they are not as frequent as these ones. Most people who use MS Outlook as their work email probably use the “Reply to all” option a lot. You probably get a lot of email addressed to more than one person, and are expected to reply with everyone in the loop. Gmail is slightly different because most of the personal email is only addressed to you, however I’ve felt the need to Reply to all more and more in Gmail in the past few days and have never quite got used to the shortcut there. The shortcut is simply the key “a”. If you’re reading a message with multiple people and hit “a” then Gmail will open up the Reply to all option for you. If, however, you’re not used to the shortcut keys of Gmail (like me) there is a simple setting change that you can change and replace the “Reply” button on the top right of the message with a “Reply to all” button. I’ve enabled this a couple of weeks ago, and found it quite useful. Go to Options on the top right of the screen. Select “Enable” on the Default “Reply to all” option there. This is the third option from the top as I write this. Another thing I’ve noticed when emailing a lot of people in the loop is that if you want to privately email someone who is part of the conversation then you should start a new thread. At least twice in the last week I’ve seen that when I scroll to see quoted messages – I see emails that were sent to just one person, and that I shouldn’t have seen at all. I don’t know how exactly that happens and that’s what makes it a bit risky. So, if you’re in a chain email I’d suggest starting a fresh thread referring to the older email if you don’t want everyone to see it at some later point. Even if this isn’t an error in Gmail it might just be people unable to understand how the conversation works, and making mistakes. If you know why this happens, please do leave a comment because I’m quite curious about it. Gmail has this annoying feature where it adds everyone you reply to on your Chat list. This is very inconvenient as your regular contacts get lost in your long list, and it also forces you to be invisible at times. Fortunately, there is an option that changes this to where the person who wants to chat with you has to take permission first. Here is how you go about doing this. Click on the Options icon on the extreme right. Click on Chat from the list of options. This will prevent everyone from getting added to your Chat list automatically, and will make your chat list much more manageable and meaningful. When someone wants to chat with you they will have to first send you a request and you will appear in their list only after you have approved that request. I wasn’t aware of this option until recently, and it’s only when I complained about this to a friend did she tell me that such a thing existed. I’m hoping there are at least a few other people like me who don’t know about it and will find this useful. Did you know about this feature and are you going to use it? 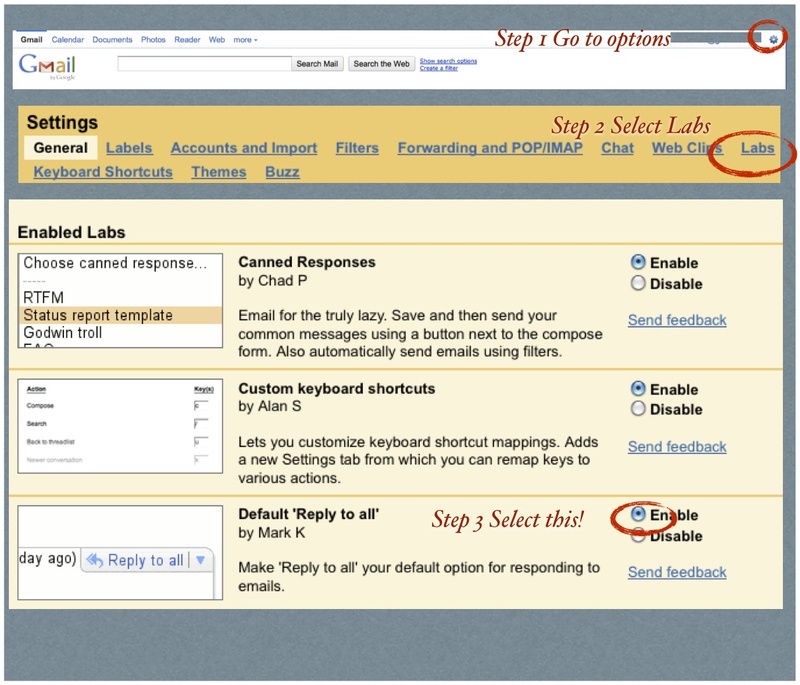 How to apply filters in Gmail automatically? You can use a combination of Gmail Labels and Filters to automatically label incoming messages, and make them stand out from the rest of the conversations. So, if you get a large number of funny forwards from your friends, and are afraid that your wifeâ€™s email will get lost in all the clutter, then create a rule that labels all your wifeâ€™s email in a certain color, and brings it to your attention. 1. Go to â€œSettingsâ€ at the top right hand screen of your Gmail screen. 3. This will open up a page which shows your existing Filters as well, as a hyperlink to â€œCreate a new filterâ€. 4. Click on the hyperlink, and youâ€™re presented with a screen that lists down the various filter options. 5. For this example, letâ€™s say I put my wifeâ€™s email address in the â€œFromâ€ box, but you could put in any criteria that meets your goal. You can then click on either Test Search or Next Step, which will show you the following screen. 6. You can select â€œApply the labelâ€ checkbox, and then choose â€œNew labelâ€ from the dropdown, or any other action that youâ€™d like to do with these type of messages, and click on â€œCreate Filterâ€. Thereâ€™s also an option to apply the filter to existing conversations, and you can see if you want to do that or not. Thatâ€™s all you have to do to create a filter that marks all incoming message with a certain label based on a pre-defined criteria. You can then go in to the label, and select a color for the label because that really helps to make the message stand out from the rest, and catches your attention quite easily. 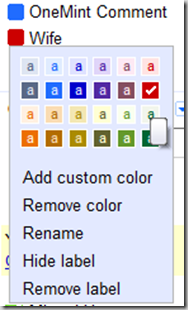 You do that by clicking on the little box on the left of the name of the label and selecting a color from the options that open up. I hear a lot of good things about Priority Inbox, but somehow that doesnâ€™t work for me at all. I guess itâ€™s useful for people who get hundreds of emails a day, and Iâ€™m not one of those. But still, this labeling â€“ especially the use of color is good for anyone who wants to highlight a certain type of message in their inbox, regardless of how many emails they get. 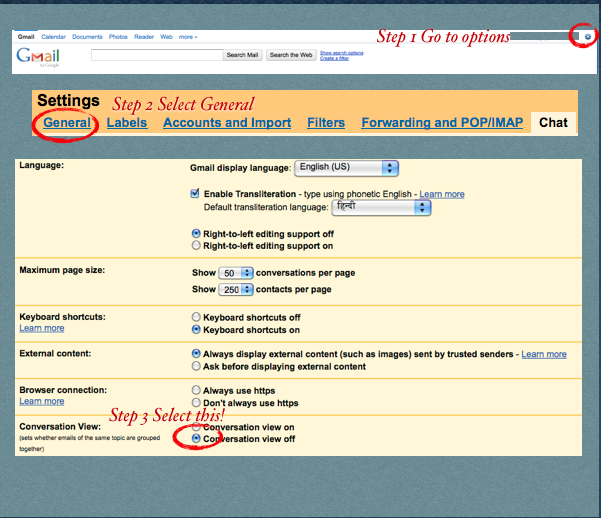 Author ManshuPosted on January 3, 2011 January 2, 2011 Categories Personal TechnologyLeave a comment on How to apply filters in Gmail automatically? The iPhone 4 is not yet available in India, and a few of you would be asking your relatives or friends to get an iPhone 4 from the US to use it in India. Before you do that there are at least 4 things that you should know that might surprise you later. These are things that might make your iPhone 4 useless as a phone in India if you aren’t prepared for them. 1. Activate the iPhone 4 in US itself: If you get an iPhone 4 from eBay – it may not even be activated. This means that you can’t do anything at all with the phone. It just shows you a screen saying that it is not activated, and can only be used to make emergency calls. The phone is practically useless in this state, and the simplest way to activate this iPhone 4 is to insert an original AT&T iPhone 4 SIM card, and fire up iTunes. This will activate your iPhone 4, and let you past the first screen. Since it is a lot easier to find someone in the US with a iPhone 4 AT&T SIM card than it is to find one in India, you should ask whoever is bringing you the phone to at least get this done. There are other ways to activate the iPhone 4 called “hactivation” but they are much more complicated, and you would much rather get it activated than hactivated. It will still not allow you to run third party apps. It will still not work with other carriers such as Airtel. 2. Jailbreak your iPhone 4: After you’re past activating the iPhone 4 – you will need to jailbreak it. Jailbreaking does not mean that this phone can be used with any other carrier. It just means that you can run apps that are not approved by the iTunes store on your phone. This is also a pre – requisite to “unlocking” the phone which does allow it to work with other carriers. This has also been deemed legal earlier this year. It’s quite easy, and there is a simple hack byÂ “limera1n” that allows you to do it in a few minutes. You don’t need an original SIM for this. You will also be able to run third party apps. 3. Unlocking your iPhone 4: The next thing you need to do is get your phone “unlocked” which will allow it to work with other carriers like AT&T, Hutch etc. The key thing to keep in mind is that so far there is no unlock available for iPhone 4 running on iOS 4.1 or 4.2 with a Baseband of 2.10.4 or higher. To be honest, I don’t know what the Baseband actually means, but before you buy the iPhone 4 – ensure that it is a lower Baseband so that it can be unlocked. If you have an iPhone 4 with a 2.10.4 Baseband then you will not be able to unlock it right – away. Sooner or later a method will appear to unlock them and at that time you will be able to unlock it, and use it with other carriers, but you will have to wait till that time. I’ve read a few posts on lowering the Baseband, but those methods don’t look very promising, and seem to be complicated as well. If you’ve not already bought the iPhone 4, then try getting one with a Baseband lower than 2.10.4. For others – you can unlock the phone with various techniques listed online, and you will be just one step away from using it with your carrier. It will work with other carriers such as Airtel. There is just one more thing you to do to actually use it though. 4. Cut your SIM to size: The iPhone 4 uses what’s called a micro sim, and is much smaller than your regular SIM. The two share the same technology, and there are quite a few instruction videos online that show you how to cut up a regular SIM to fit in an iPhone 4 and make it work. iPhone 4 is quite a cool device, and hopefully will start selling in India soon, but if you are getting it from someone in the US – keep all these points in mind. Ideally (at least for you) if the person getting the phone can do all these things for you (except perhaps cutting up the SIM) that will work out the best, as doing these things in the US is always a little simpler than it is to do them in India. 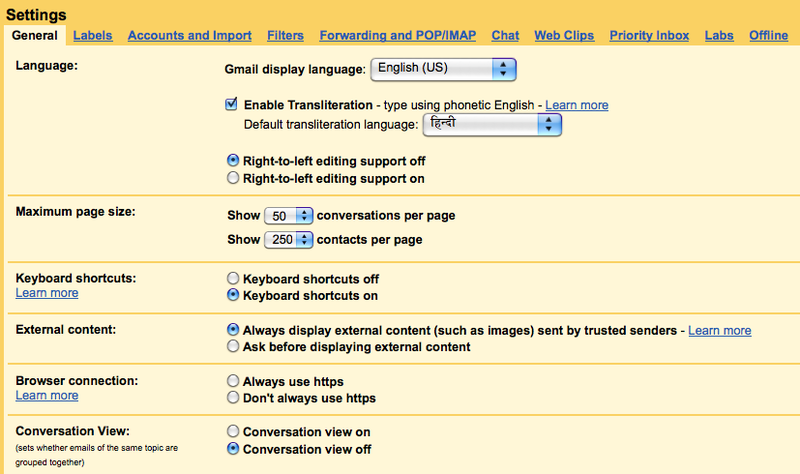 How to un-mute a conversation in Gmail? A few days ago I wrote about a feature called Mute in Gmail which allows you to ignore conversation threads that you don’t want to see in your Inbox. How to find conversations that are muted? How can I turn the mute off? Is my dog muting my conversations? There are three things related to this feature that you should know lest it becomes a nuisance, and I address them here. How to find Gmail conversations that are muted? It’s fairly simple to find what you muted, and all you have to do is type “is:muted” in the search box. This will show you all the conversations that you muted, and then there is an option to turn mute off on any conversation as well. How to turn the mute off on a conversation? You can select a muted conversation, and move it back to Inbox. Once you move a conversation back to your inbox, you’ve un-muted the conversation or turned the mute off, and you’ll start seeing the future emails on that thread in your inbox. Most likely not. The shortcut key to mute a conversation is Shift-m, so there’s a chance that you hit that while a conversation is selected and it gets muted. So there is a possibility that you accidentally mute a conversation, and then scratch your head. The good thing though is that if you’re in the To or CC of a muted conversation, then the conversation will appear in your inbox so chances are that you won’t miss any important emails because of this feature. Even if you haven’t muted anything, it might be a good idea to search for muted conversations anyway because some people have accidentally muted conversations, and found those months after, so just check out if you have any such conversations. 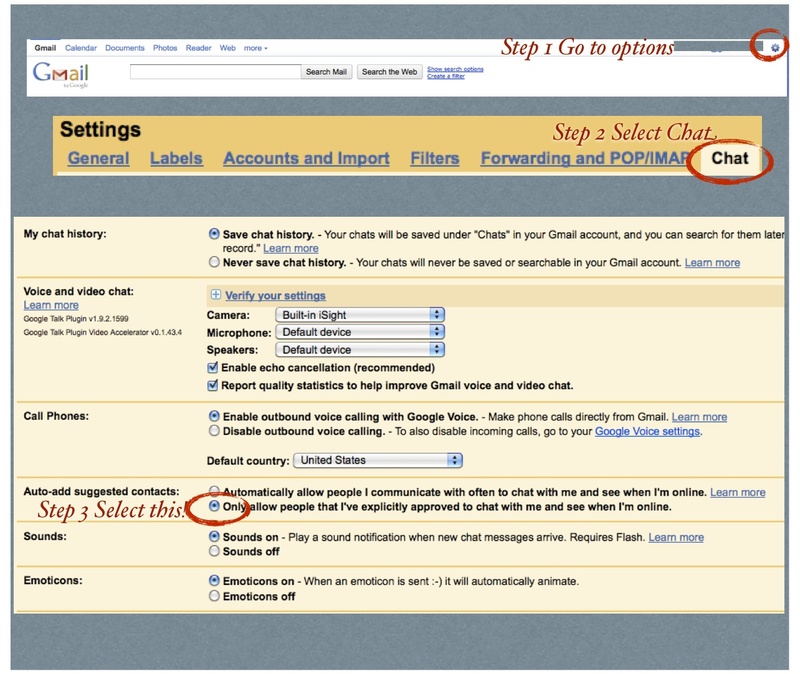 Author ManshuPosted on October 15, 2010 October 12, 2010 Categories Personal TechnologyLeave a comment on How to un-mute a conversation in Gmail? 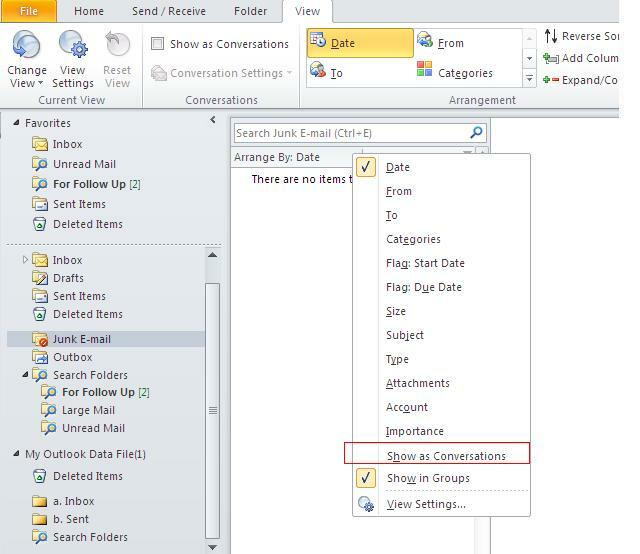 I started using MS Outlook 2010 a few weeks ago, and one of the first things I searched for was how to turn off the conversation view in Outlook. It confused me a little in the beginning, and it probably still will, and I just had to get rid of it. It’s really quite simple to turn off the conversation view in MS Outlook, as it just takes a couple of clicks. Just click on “Arrange By”, and then click on “Show as Conversations”, and your view will default back to how it was in the earlier versions. I wasn’t surprised to see how easy it was to turn it off given the great options that MS Office usually has, and I had happily forgotten about this neat little feature until today when Google announced that they too will allow you to turn off conversations in Gmail. It never occurred to me that you’d want to turn off conversations in Gmail, but a quick Google search showed that people were signing petitions to get this feature! It’s amazing how worked up some people can get over this kind of thing, oh well, at least it worked. How to update formulas in a Word document? Last week I wrote a post about using formulas in Word, and reader Rajesh wrote to me telling me that the formulas donâ€™t auto â€“ update when you change the values. I hadnâ€™t noticed this before, so I tried it and found that you have to manually update the formulas, and this doesnâ€™t quite behave as it does in Excel. The good news is that it isnâ€™tÂ that hard to update a value, – you can just place your cursor on the cell with the formula, right click, and hit â€œUpdate Fieldâ€ if you have just one formula. If you have more than one, then it will be easier to select the entire document using Ctrl + A, and hitting F9. That will update all values in the Word document. Thanks to Rajesh for pointing that out! I am posting the rest of the earlier post (which describes how to enter a formula) below in case you havenâ€™t seen it. No need to read further if you have already seen that post. I discovered a neat little feature in MS Word today which has been around for quite some time now, and can come quite handy if you have to perform calculations within a Word document, or create a template with calculations that others will use later on. 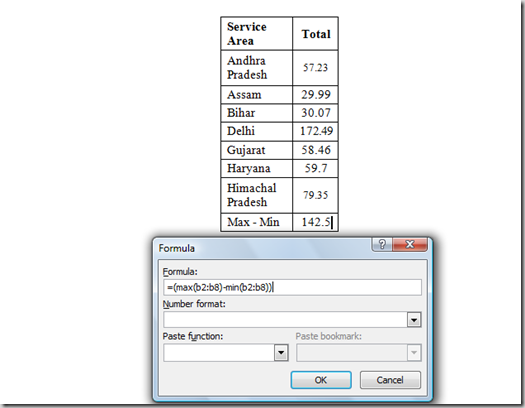 You can perform calculations in a MS Word table much in the same way you perform them in MS Excel. Say you have a table with Regions, and Sales like the one below. If you want to find average sales then place your cursor on the cell that you want to show the number at – click Layout â€“> Formula, and then type =AVERAGE(ABOVE), and hit enter. 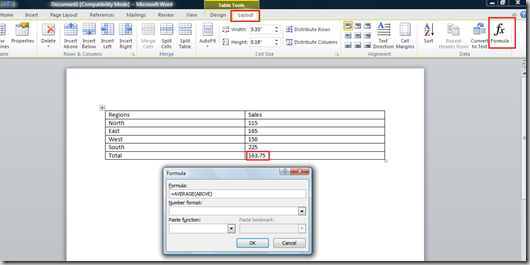 Word will calculate the average for you, and show the number on the cell. You can even reference the cells like B2, B3, B4 etc., and then perform more complex calculations too. Here is an example: Say you have tele-densities from a few states, and want to see the difference between the maximum and minimum. This works in MS Word 2007 and 2010, and can come quite handy if you have to do calculations for a report, or create a template or some other stuff that needs some light calculations. Author ManshuPosted on September 7, 2010 March 4, 2011 Categories Personal Technology3 Comments on How to update formulas in a Word document?